The training event was organzied at Aro Palace, sala Europa III in Brasov, Romania from Asociatia MERGI INAINTE and with the participation of 51 local trainers and experts in Roma issues. The content presented also facilitated discussions between trainers and participants, thus the two components of the course (providing information about the place of the ethnicity in the past, the current state and perspective of the future, and familiarization with the intervention tool in Roma communities). During these discussions the participants exposed working situations encountered in the activities carried out within these communities. More about the event is uploaded HERE. The event was dissemination among local press and social media. The First Local ToT event was organzied at CIK Trebnje, Slovenia with the participation of 25 local experts and the second ToT at 19th of June 2017 with 16 participants. The topics that have been shared are about the realization of programme AdEd School, organziation & implementation of education of vunerable groups, team work and active methods of learning and house rules. More about the event is uploaded HERE. The event was dissemination among local press and social media. 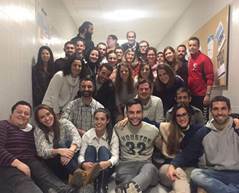 Two local events for ToT were hosted by the LA ESSE social cooperative in Italy where the PAL training curiculla was introduced. The trainers have presented the topics such as National and European Context of Starategies for Roma and Sinti, Good Practices and EU opportunities to devlop initiuatives for social inclusion. The FLM experts have trained 20 experts at 24/02 and 20 experts at 28/02/2017. More about the event is uploaded HERE. FLORIDA UNIVERSITERIA had separted the event in two days and hosted it in AULA D.1.3. of the institution. The Training started at 21st of December 2016 at 15:15 with 44 participants and ended at 20:00 and continued the next day at 9:15 to 14:00 with 46 participants. Most of the participants were university students in the process of becoming teachers in Kindergarten, Primary or Secondary Education in the future), but also experts and professionals working with Roma people (trainers, teachers, NGO workers, social workers, career advisers, etcetera). The participants understood the objective of the session very well, as it was specified and clear from the beginning: To train the participants in order for them to 1) help low-skilled Roma people return to the education system to improve their qualifications; and 2) help Roma children improve their academic performance at school so as to prevent them from dropping out. Every topic was aimed at sensitizing regarding the Roma situation and making acquire strategies to achieve educational inclusion and full citizenship. More information about the event is available HERE. 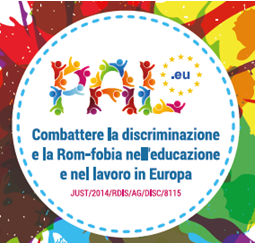 IED organize a local event entitled “Fighting discrimination and prevention of ROMA in education – Tools & methodology” aiming at training experts and professionals engaged in activities and actions for the support and education of ROMA people. During this event, project PAL and its specific results and outputs were presented. Also, the training material developed by the project’s partners aiming at training experts and professionals engaged in activities and actions for the support and education of ROMA people was presented. 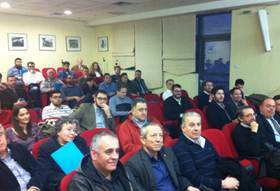 The event took place in Larissa on Thursday, 9 February 2017, 13:00 – 21:00 in the premises of the Chamber of Commerce of Larissa and had 51 participants. More about the event is downloadable HERE. Training of Trainers was organized at Domu národnostních menšin, o.p.s., Vocelova 602/3, Praha 2 from RomPraha with the participation of 28 trainers at 26th of january 2017. It aims to enrich new skills and knowledge of teachers and social workers who work in the field of education and social inclusion of Roma. Participants were mostly non – Roma experts working with Roma. First the whole project was explained, after Mrs. Meisnerova had presentation about work with Roma families in the context of school attendance. This topic was the most interesting for most of our participants, because they heard specific experience from the school principal who is working with Roma children more than 20 years. After that followed other presenters with their topics. The training had great success, we got very good responses from all the participants. More about the event is available HERE. The event was organzied at URI-SOČA, Centru za poklicno rehabilitacijo, Lendavska 1, Murska Sobota, Slovenija. 40 participants from different organization working with Roma people or other vulnerable groups attended (vocational rehabilitation providers, employment advisers from Employment service, NGOs, employment centres, shelter employment centres, companies employing disabled Roma and others etc. On workshop we presented themes: formulation of thematic and personal plans, challengers and barriers in education, Roma youth opportunities and fighting discrimination and anti-gypsism. Participant discuss about realistic situation in Slovenia while employment on open market is very hard to get. Different inclusion programs for vulnerable groups are useful and give those people chance to work. More about the event is available HERE. The training event in Belgium will be organzied in September 2017 as is arrange the support and the participation of Region of Luven.